Thank you for your interest in one of Trust Auto's online offerings. 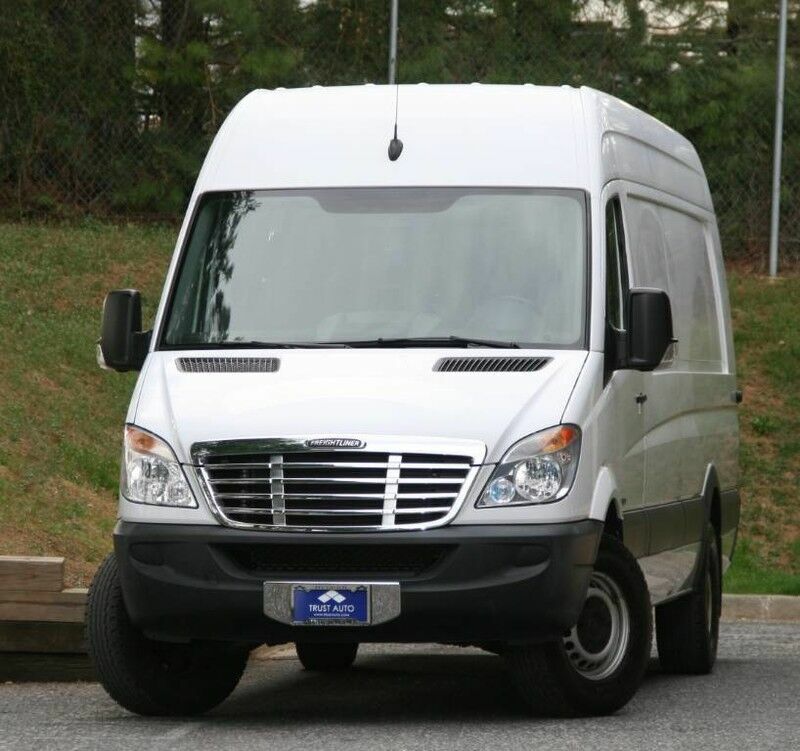 Please continue for more information regarding this 2013 Mercedes Benz (Dodge, Freightliner) Sprinter 2500 High Roof 170-in. WB Extended 3.0L V6 Turbodiesel Cargo Van with only 102,683mi. CARFAX BuyBack Guarantee is reassurance that any major issues with this vehicle will show on CARFAX report. Enjoy an extra level of calm when purchasing this Mercedes Benz Sprinter 2500 High Roof 170-in. WB, it's a CARFAX One-Owner. The CARFAX report shows everything you need to know to confidently make your pre-owned purchase. Get a complete and detailed history at no charge on this wonderfully maintained pre-owned vehicle. If not for a few miles on the odometer you would be hard-pressed to know this 2013 Mercedes Benz Sprinter 2500 is a pre-owned vehicle. *30 DAYS / 1000 MILES POWER-TRAIN WARRANTY INCLUDED (ENGINE, TRANSMISSION, DIFFERENTIALS)* *TRADE INS ARE WELCOME* Trust Auto is one of the top pre-owned vehicle dealer in Maryland. We provide quality vehicles of various makes and models with the most competitive prices in the region. Trust Auto is dedicated to make your vehicle shopping experience hassle free and straight forward. With that in mind we fully inspect, service and detail all cars in the lot. We are open 6 days a week now FOR YOU!!! Monday - Saturday 9am - 7pm. Some vehicle information and pricing may be unintentionally missing or inaccurate, and Trust Auto will endeavor to correct such discrepancies in a commercially reasonable manner after being notified of any errors. Pricing errors and listing errors are considered invalid and may not be honored at the sole discretion of Trust Auto. Prices subject to change without notice and do not include Title, License, Registration Fees, State or Local Taxes, $895 PDI & $299 Dealer Processing Fees. Please contact seller for vehicle availability. All vehicles with PDI are sold with a 30 day / 1,000 mile warranty! EPA mileage estimates are provided for comparison purposes only. Actual mileage may vary depending on driving conditions, driving habits, and vehicle maintenance. Mileage listings are estimates and are not necessarily accurate odometer readings.